“Any specific feelings they have, they can speak to. I’m not in their heads,” he added. Ling, however, did post a video explaining some of his feelings about this most recent turn of events with EG. The fashion in which this trade happened (and the players it involved) made it one of the most dramatic moves in DOTA 2 ever since EG originally kicked Aui. But Aram also stressed that the change wasn’t as shocking as it appeared from the outside, based on the way players and teams engage with each other during events, when there’s lots of informal conversation between colleagues. This is a key difference between the competitive environment in DOTA 2 versus, say, League of Legends. While League has strict rules about who can approach esports talent and when they can do so, DOTA 2 is much less formal. It’s remarkable that at the end of all these roster changes Evil Geniuses will still have their International-winning lineup mostly intact. Today’s announcement from EG also hits “reset” on the squad’s controversial decision to replace Aui with Arteezy in the first place. 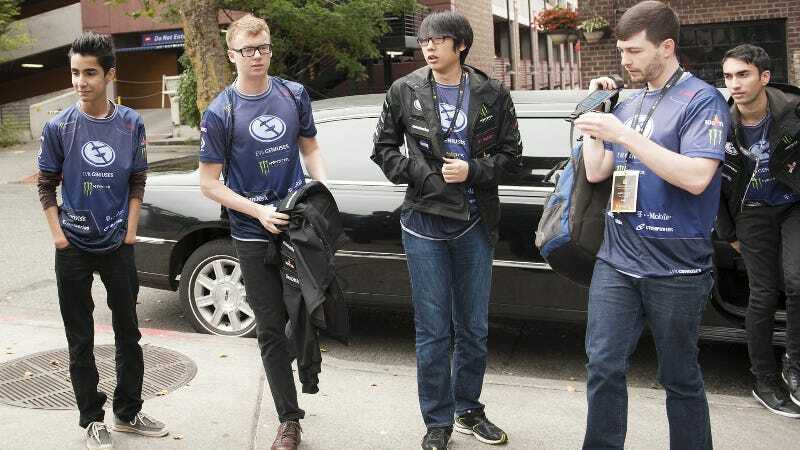 The last time Aui joined EG following Arteezy’s departure, Evil Geniuses went on to win two of the biggest tournaments in DOTA 2. It remains to be seen whether they can repeat those achievements, after so many new twists in the love-triangle between EG, Arteezy, and Team Secret.